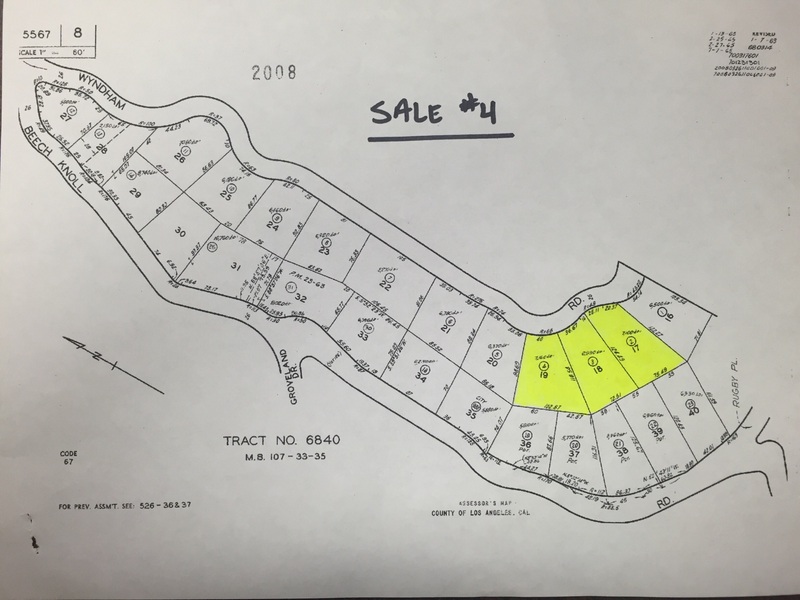 ALL SALE #1 PARCELS ZONED LCA 22. SUBJECT TO GENERAL PLAN CONFIRMATION. 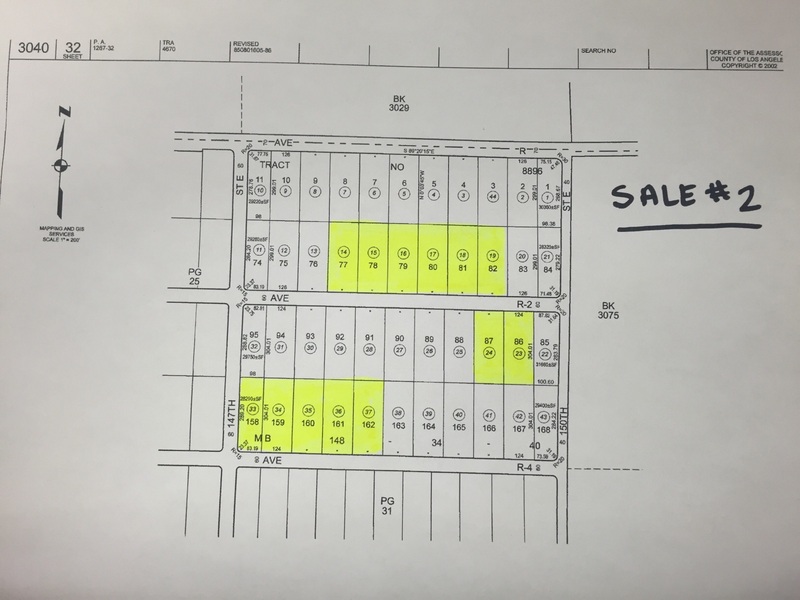 ALL SALE #2 PARCELS ZONED LCA 25. 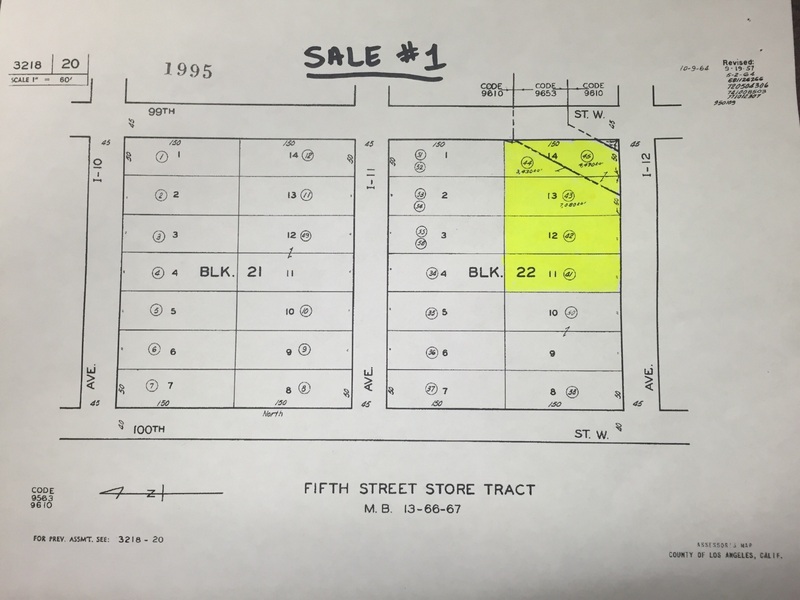 ALL SALE #3 PARCELS ZONED GLR 1YY. 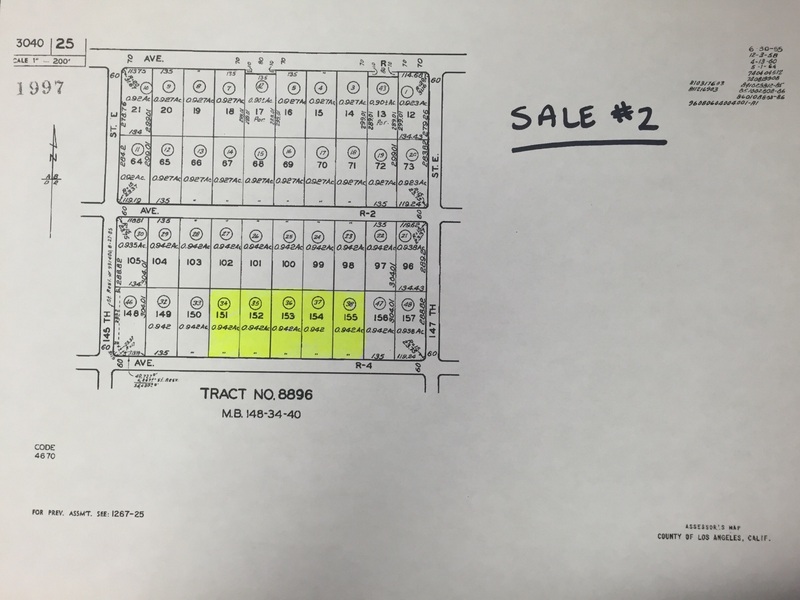 ALL SALE #4 PARCELS ZONED LA R1. TERMS: CASH. 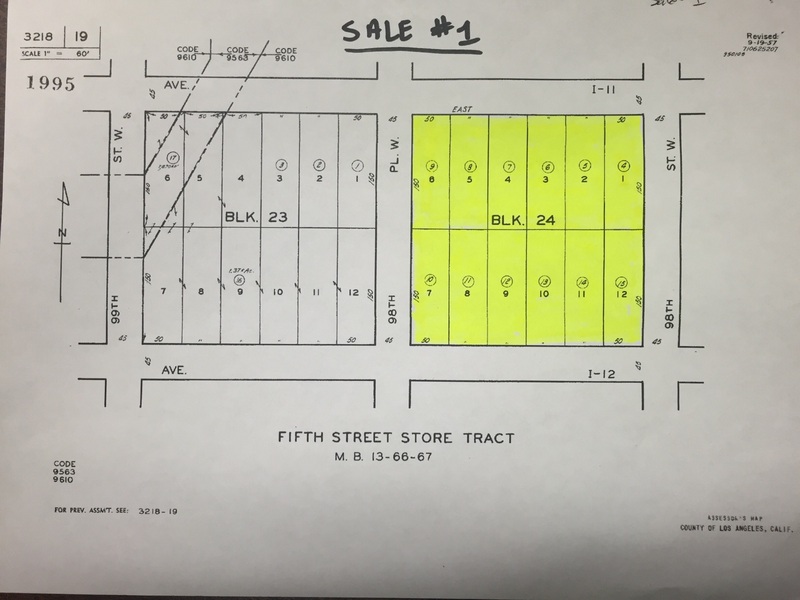 BUYER TO OBTAIN OWN FINANCING. FINANCING IS NOT A CONTINGENCY TO THESE SALES. PROPERTIES SOLD IN “AS IS” CONDITION WITH NO CONTINGENCIES WHATSOEVER. 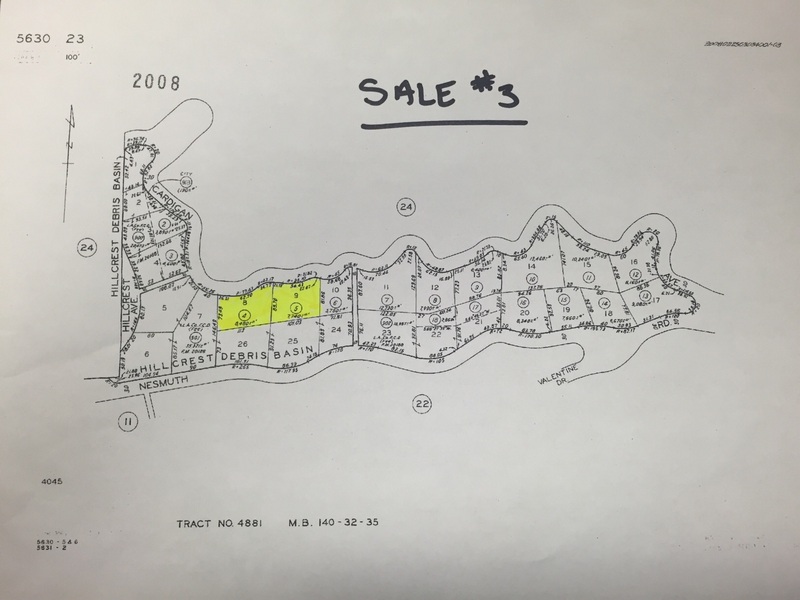 PROPERTIES SOLD SUBJECT TO ACCEPTANCE OR REJECTION BY THE ESTATE AND SUBJECT TO COURT CONFIRMATION. 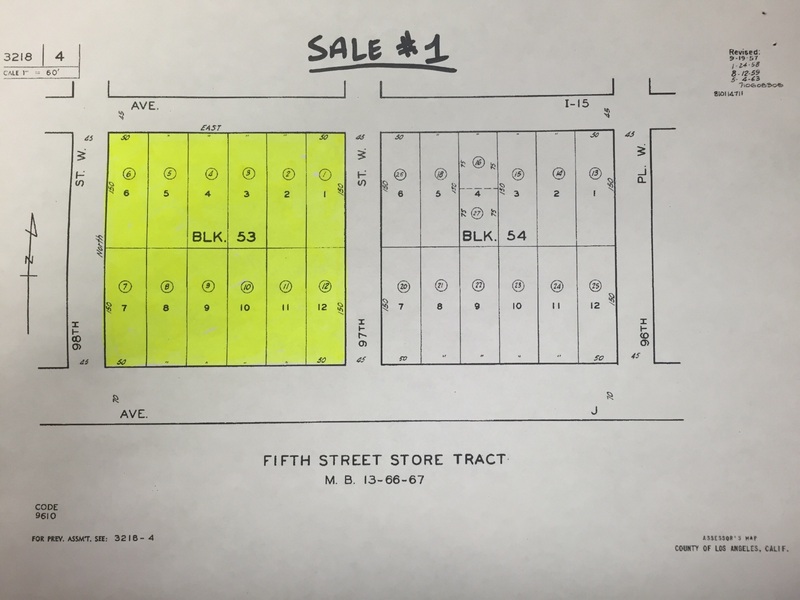 DEPOSIT: $5,000 CASH OR CASHIER’S CHECK REQUIRED TO BID FOR EACH SALE. BALANCE OF 10% DEPOSIT BY PERSONAL CHECK. CASHIER’S CHECK SHOULD BE MADE PAYABLE TO FLANS & WEINER, INC.. IN THE EVENT YOUR BID IS REJECTED, DEPOSIT WILL BE REFUNDED WITHOUT INTEREST.